Dr. Venus is a medical physician whose expertise reaches outside the walls of her office practice. She’s also a health coach and fitness expert for people who struggle with stress and low energy, so much that it’s hindering their success personally and professionally. Through her blog posts, social media videos, and group coaching programs, she’s here to shake up your approach to fitness – showing you how to incorporate a fit lifestyle into your busy schedule, all while making it feel easy peasy. Dr. Venus has been a repeat guest expert on the TV series “The Doctors.” and was featured on several other shows including NBC's "American Gladiators," and ABC's "The Bachelor." She also contributes to multiple health outlets and has been published in Oxygen Magazine. Meet Dr. Venus, and get ready for workouts that don’t feel like work at DoctorVenus.com. 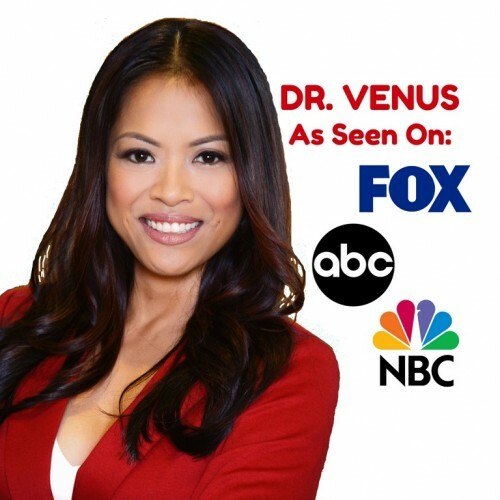 Find out more about Dr. Venus at http://www.DoctorVenus.com.